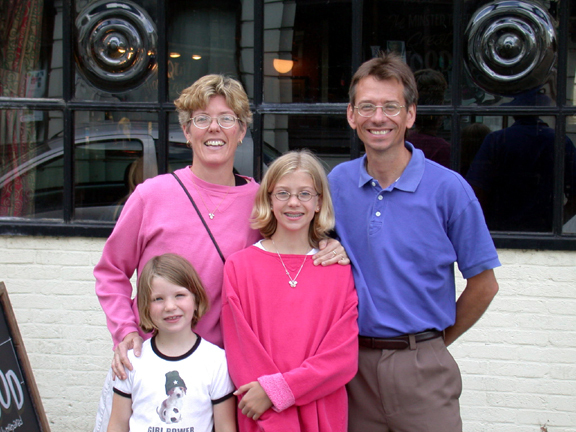 A Photographic Record of the Society's meeting July, 2001. The scientific sessions were held in the lecture theatre of Peterhouse, the college to which James Clerk Maxwell belonged when he first came to Cambridge in 1850. The lecture theatre itself is housed in the former University Museum of Classical Archaeology and largely retains its original format of 1884. 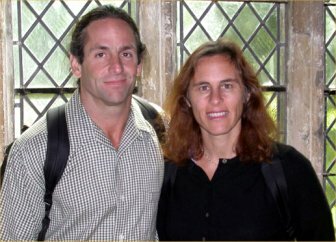 This photograph was taken by the President of the Society, Professor A. Roth. 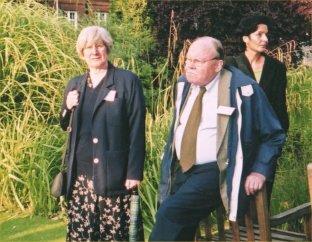 Visible from left to right in the front row are: Dr. Chun Suk Hahn, Dr. M. Simunovíc (member of the Organising Committee), Professor L. T. Sharpe (Treasurer of the Society), Professor J. Koenderink and Professor J. Moreland (formerly General Secretary of the Society). 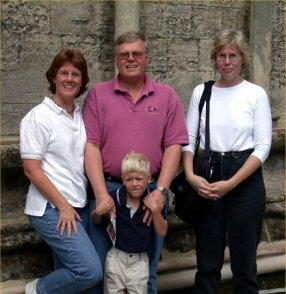 Click on this or subsequent photographs for an enlarged view. 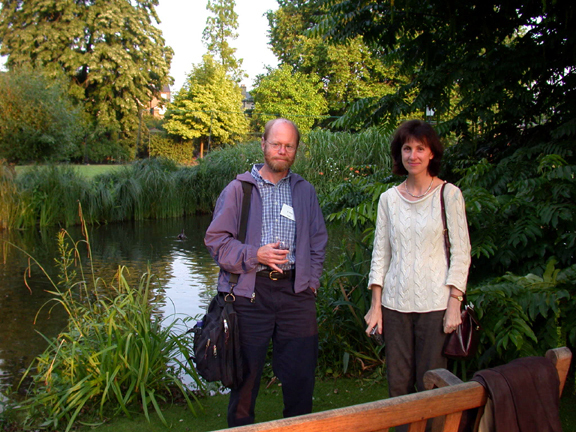 On the Saturday evening, July 14 2001, the Society met beside the pond in the Paddock of Emmanuel College, to mark the bicentennial of Thomas Young's statement of the principle of interference, which was to become one of the most important concepts in modern physics. 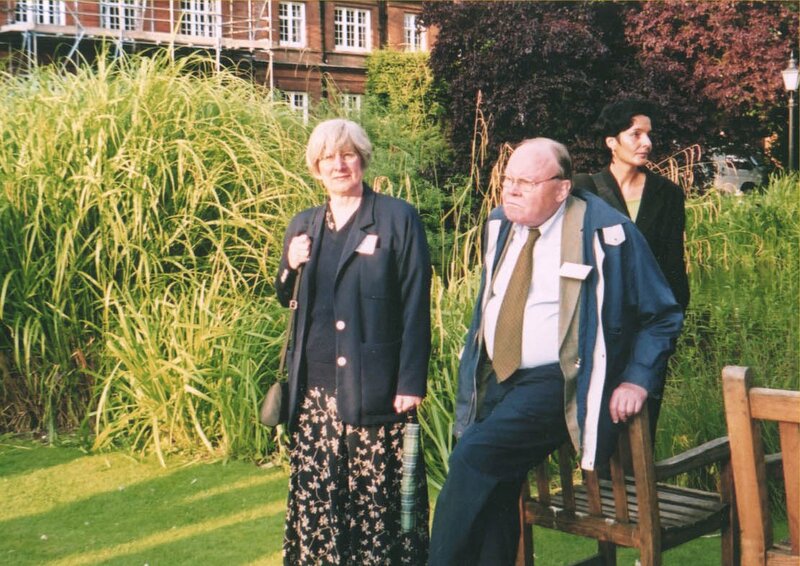 College legend holds that Young first observed the interference of waves in the Emmanuel pond. The Society was addressed by the Master of Emmanuel College, Professor J. E. Ffowcs Williams. By an interesting coincidence Professor Ffowcs Williams is an engineer distinguished for his work on anti-sound, a practical application of Young's principle of destructive interference of waves in anti-phase. On display in the College Museum of Emmanuel were several items associated with Thomas Young. The Fellows' 'Parlour Book' for 1799 records a wager dated 14th March between Young and Pemberton that 'Young will produce a pamphlet or paper on sound more satisfactory than anything that has already appeared, before he takes his Bachelor's degree'. An Audit of Wagers in 1802 records that Young was judged to have lost the bet. On Sunday, July 15, the Society visited one of the shrines of colour science, Woolsthorpe Manor, in the Lincolnshire countryside near Grantham. It was here that Isaac Newton was born on Christmas Day, 1642, and it was here that he returned during the plague, 1665-1667, when, as he said, he was 'in the prime of my age for invention'. 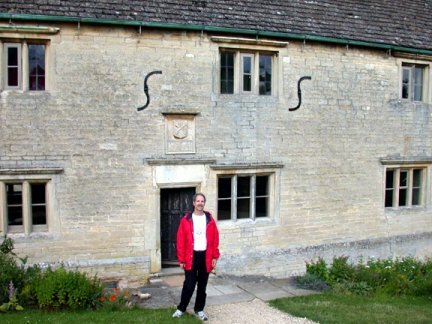 This photograph shows the west front of Woolsthorpe Manor. Standing in the doorway is Dr. S. Shevell of Chicago. 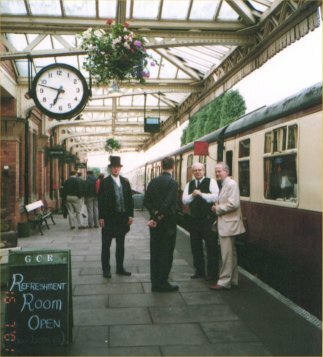 On the Sunday evening the Society dined on the 'Daltonian', a specially commissioned steam train of the Great Central Railway. 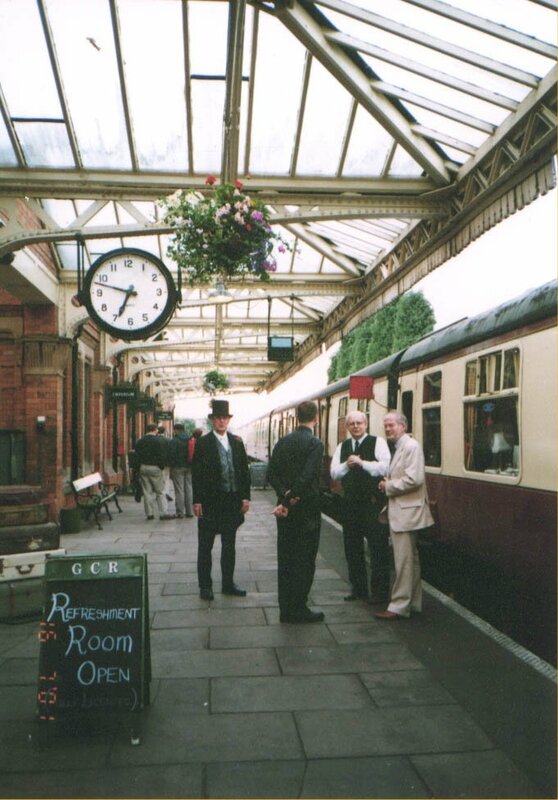 The photograph to the left shows the scene at Loughborough Central station before departure of the train. 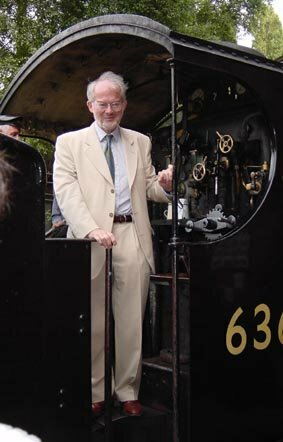 To the right is shown Professor J. Mollon, Chairman of the Organising Committee, photographed on the footplate of the locomotive. 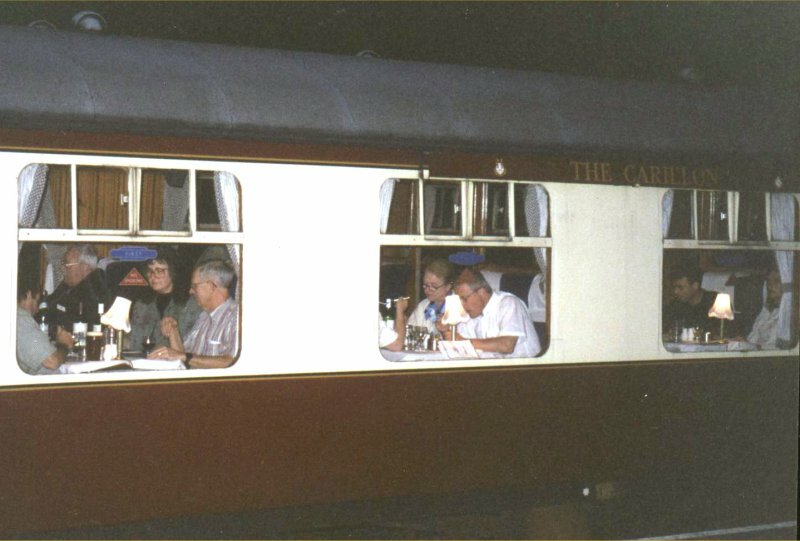 Below: A glimpse through the windows of the first-class dining car of the 'Daltonian'. 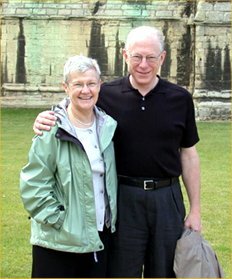 Richard and Rita Cavonius (Dortmund). 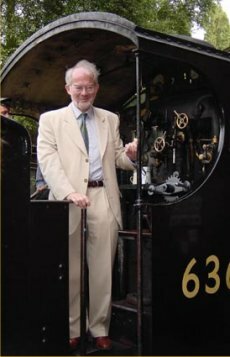 Professor Cavonius is a former Editor of the Society's 'Proceedings' and a long-serving member of the Directorial Committee. 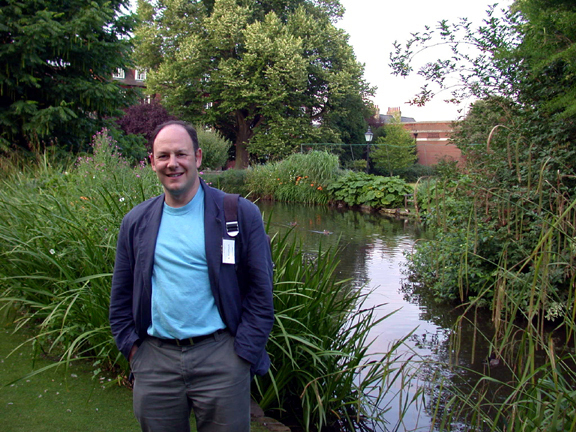 The photograph was taken close to the pond of Emmanuel College. 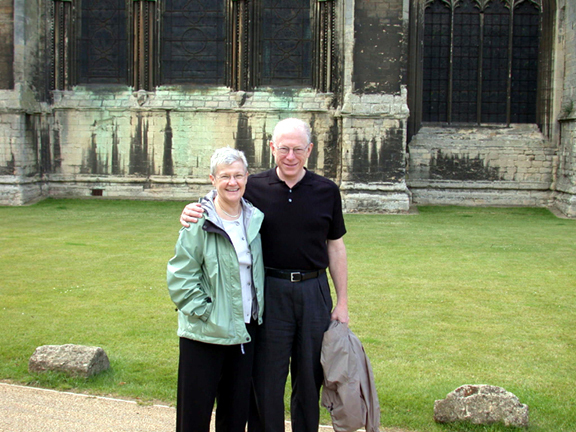 Dr. Vivianne Smith and Dr. Joel Pokorny (Chicago), a photograph taken outside Ely Cathedral. 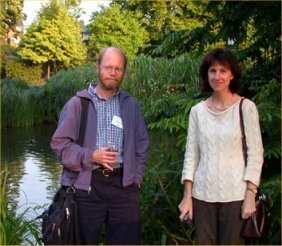 Dr. Smith gave an invited paper to the symposium entitled 'Psychophysical correlates of parvo- and magno-cellular function'. 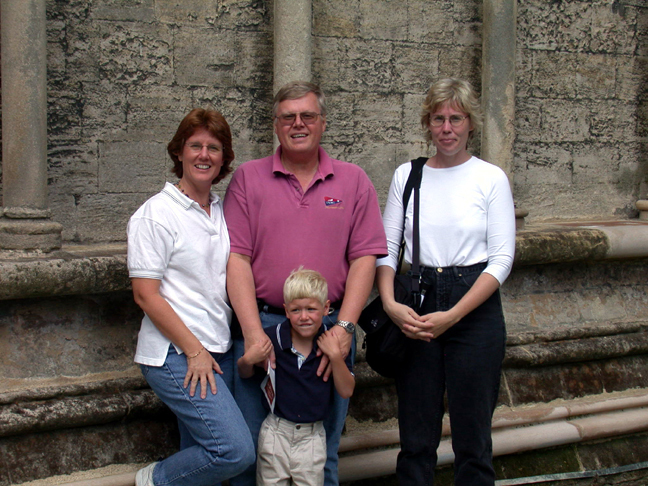 Dr. Jan Nerger, Dr. Vicki Volbrecht (Colorado) with Jerry Tuneberg and Janson. 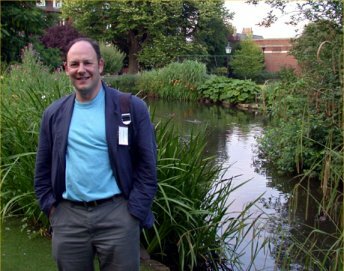 Dr Petroc Sumner, Imperial College. 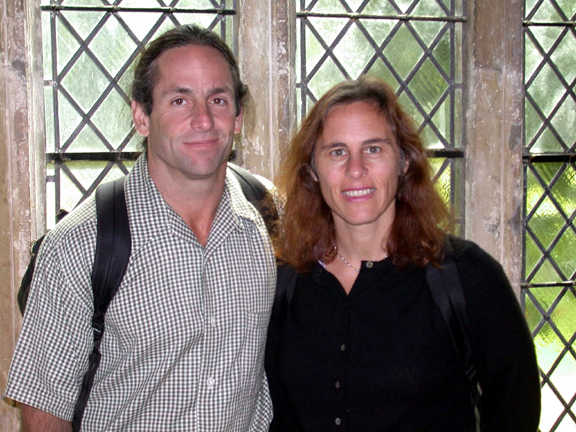 Dr Gabriela Jordan (Newcastle-upon-Tyne) and Dr S. Buck (Seattle). 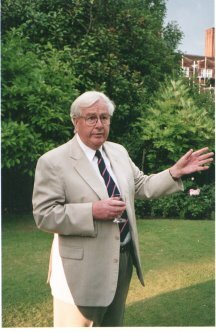 Dr Buck is an organiser of the 2003 Symposium.